Even though many people thought it would fail, Snow White was a great success. And so, Walt Disney had a new challenge to overcome: making a second feature film that would be as great as the first one. That movie would be: Bambi. 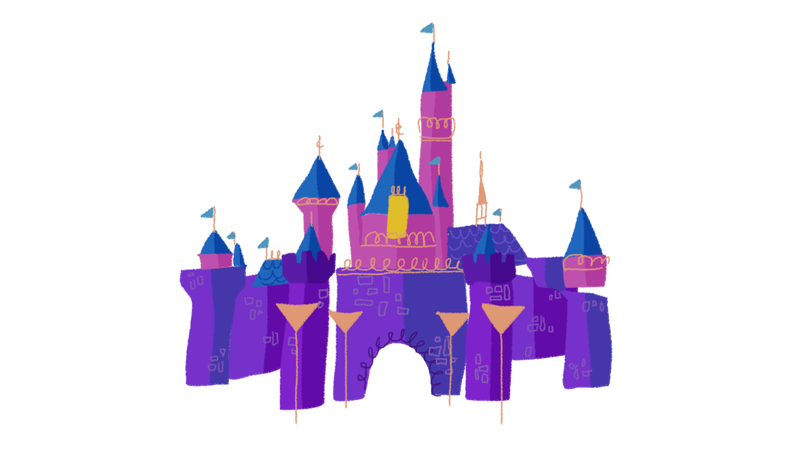 Preproduction started in 1936, but very quickly, Walt Disney realized that he didn't quite know how to make that particular movie. So they went on to make Pinocchio, Fantasia and Dumbo before going back to Bambi. 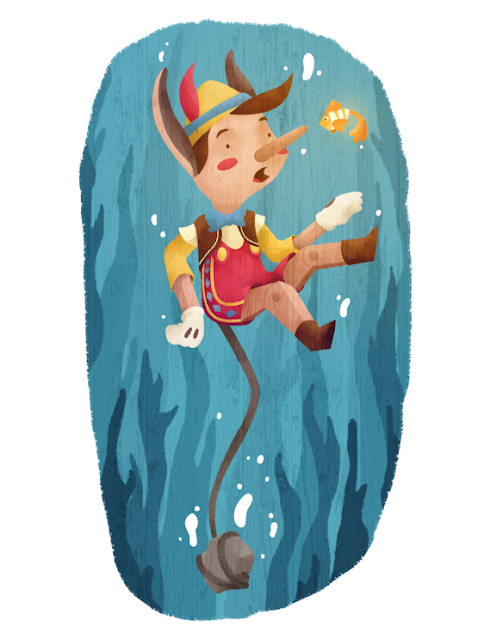 Inspired by the original character, Pinocchio was originally a cocky and unlikeable puppet. So, when Walt saw the first animation tests, he decided to start all over again. Everything was changed, from Pinocchio's design (redone by Milt Kahl) to the general story, having Pinocchio be more human than puppet, and including Jiminy Cricket. 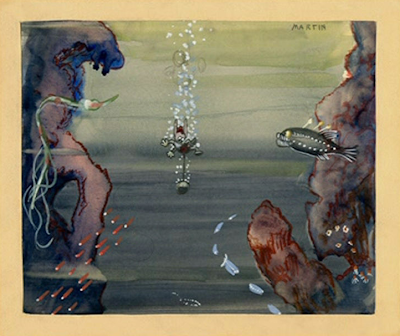 This movie could be considered the birth of the 9 Old Men, since all of them had the opportunity to work on great characters and soon be up to pair with some of Disneys great animator of the time like Art Babbitt who was in charge of Geppetto, Vlad Tytla, the supervising animator for Stromboli, and Fred Moore, who animated Lampwick. Probably one of the best known sequences of the movie is when Pinocchio lies to the Blue Fairy and his nose starts to grow. This sequence was done by Ollie Johnston, with the help of Frank Thomas (you'll be reading lots more about these two on this blog). Technically, Pinochio is a great movie. Again, the Backgrounds are beautiful. 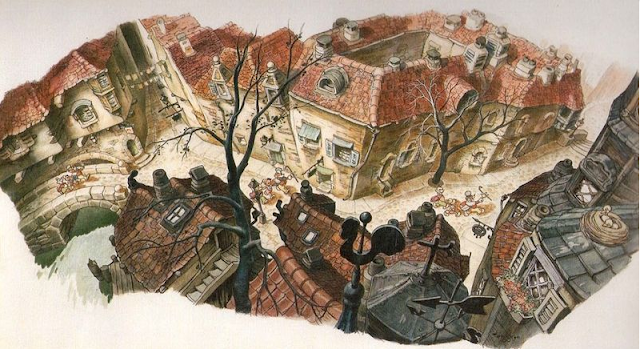 This time, the man in charge was Gustaf Tenggren who transformed different European cities into amazing paintings. Also, the multipane camera developed for Snow White was used so incredibly in this film. Especially in the opening sequence. Albert Herter Was in charge of designing and painting a lot of details in the movie, doing an amazing job on the music boxes and clocks (which were actually built so the animators could see how they worked). Some say this was the last movie on which Walt Disney was completely involved, and that's why the effects and everything works so well. But despite the acclaim of the public and press, the movie did not do as well as its predecessor (in terms of money) since WWII had forced the european market to close. This was a great change of plans for the Studio, and budgets had to be adjusted for their next movies. I just wanted to point out that when Pixar was working on their first movie Toy Story, they had the same character and story problems as Disney had with Pinocchio. And the way to overcome those problems was redesigning and rethinking the role of Woody in the movie. Something that I noticed while watching the movie was how similar Pinocchio and Woody's faces are while not being alive. Finally, heres a concept design painting from the scene I chose to illustrate.